On a mild Thursday afternoon in a Costa Coffee in Chichester, England, on 12 December 2013, we held the first discussions for the creation of Pathfinder — an AI employee that would do marketing for humans. How can we help small teams compete with big teams, when today’s staff are more over-worked than ever before? How can we make marketing more accessible, when today’s marketing stacks are more complicated than ever before? How can we help online stores compete on any budget, when top marketing talent is more in-demand (and more expensive) than ever before? 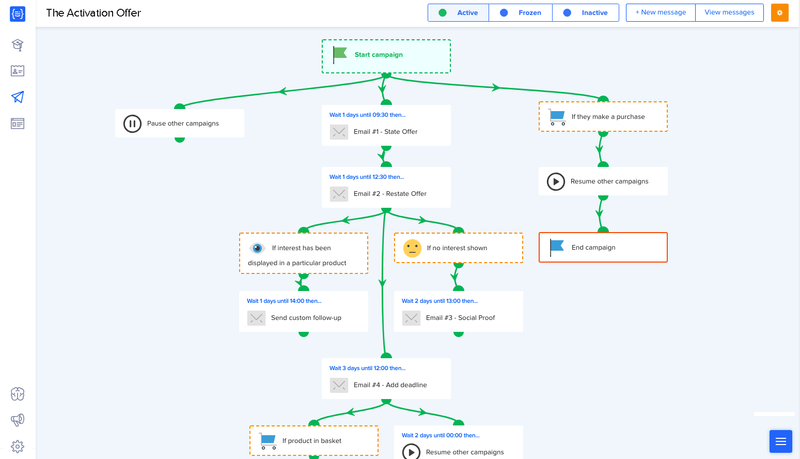 What would happen if every online store had access to an AI marketing workforce… that designed campaigns in MINUTES not months… was an EXPERT in advanced marketing automation… and worked for FREE until it proved its value to the business? Well, today, we move one step closer to answering that question. Pathfinder currently integrates with Shopify and Magento stores, with more platforms coming later this year. Then, after 10–15 minutes of initial set up and training, Pathfinder can be “hired” to do various marketing jobs. Turn on “skills” to give Pathfinder jobs you want to hand over. Think of it as Alexa meets Marketo. Skills represent specific jobs you can “hire” Pathfinder to complete. 1) It advises on strategy. Pathfinder suggests marketing ideas suitable for your business and consults with you through a chatbot. 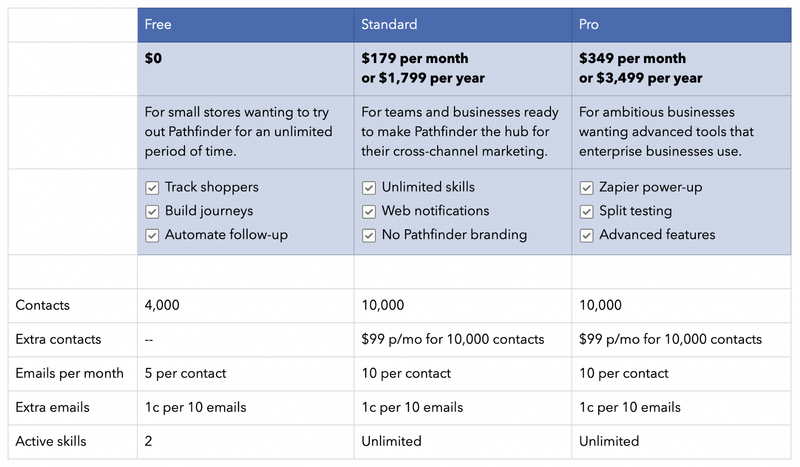 Answer simple questions to help Pathfinder decide how it should be marketing. 2) It designs marketing materials in the style of your brand. 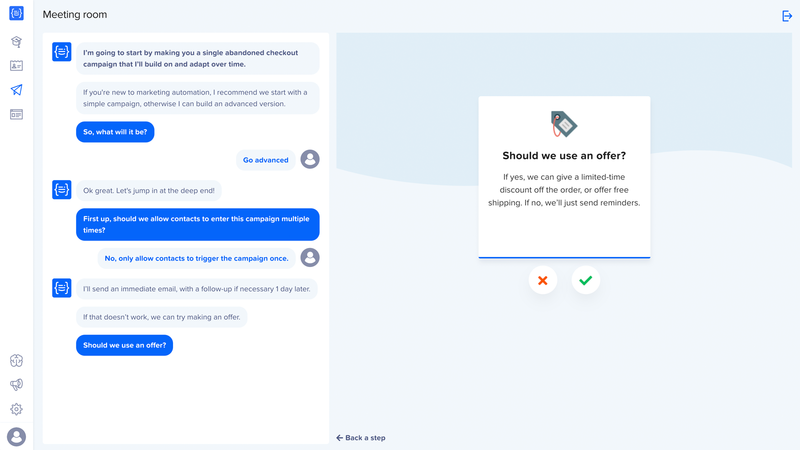 Pathfinder builds campaigns, customer journey workflows, emails, forms, pop-ups, web notifications, banners, promo codes and other materials to market your store, and pushes them live with your approval. No other marketing tools are necessary. No code or tech skills are necessary. No specialist marketing expertise is necessary. 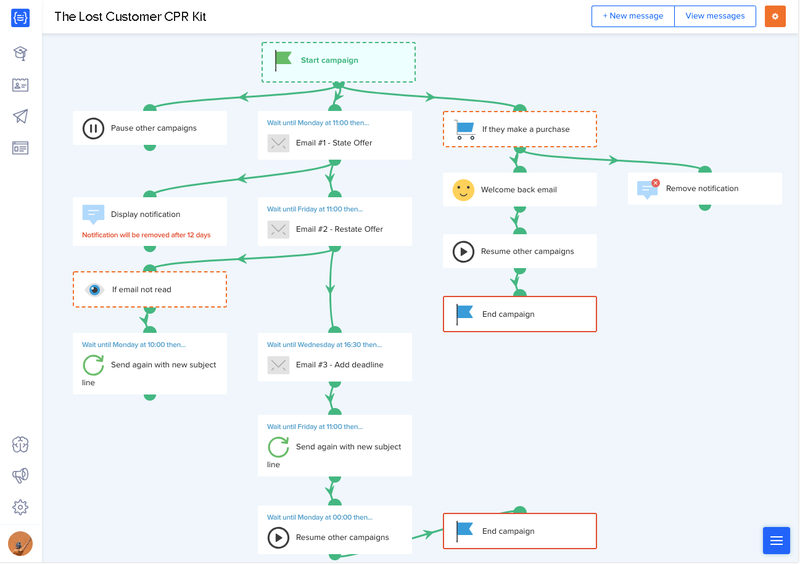 Pathfinder designs customer journeys like this for you, and writes all of the emails, web messages and promotional banners too, custom fit for your brand. Make changes if you want, then approve and push live. 3) It analyses results. Pathfinder tracks results and reports the KPIs back to you. It also meticulously analyses campaign performance for insights, then comes back with suggested improvements or split tests it can run based on the results. Nifty. Don’t worry. You’ll always get final say over what goes to market, and you can change anything Pathfinder builds for you if you don’t like what it comes up with. But the basic idea is Pathfinder will do most of the heavy lifting and save you a bunch of time, money and effort. All that’s left to run some final checks and “push it live”. The end result? Teams of all sizes get more done in less time. Believe it or not, but developing airtight skills that can market any type of store… generate revenue on demand… and save marketing teams dozens of hours each week… well… it’s pretty hard work! We had hoped to release 6 skills at launch, but the reality is we’re not quite ready to take them all out of incubation yet. The good news is that all of the above are in various stages of development, and we’re working super hard to ship them in the coming months. 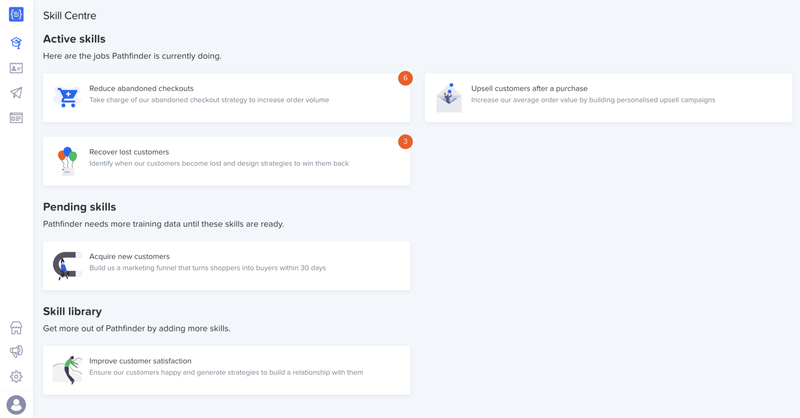 We published our product roadmap to give you a look into what we’re working on and what we have coming up as we build Pathfinder together. Take a peek behind the scenes at Pathfinder HQ with our public roadmap on Trello. Being transparent and building Pathfinder “together” is super important to us. Our mission is to level the e-commerce playing field and to “democratise” online marketing, so we feel like this is something we ought to be building as openly as possible. How do I get started? What does it cost? As I’ve mentioned, we want to empower small teams to compete with big teams, on any budget. That’s why Pathfinder will work for free until it’s proven its value to you. The way this works in practice is that you can hire Pathfinder for up to two skills and 4,000 contacts, free of charge forever. 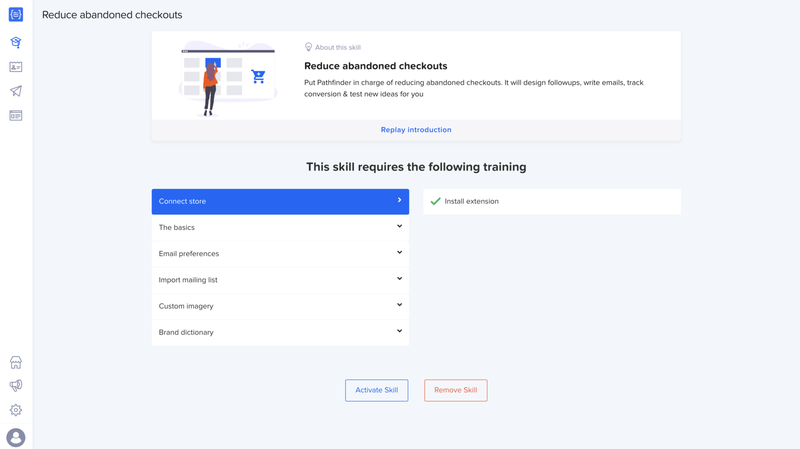 If you like what you see after that and want to set up more skills later, plans start from $179 per month depending on the size of your business, and include access to all Pathfinder skills. For the next few weeks we’ve blocked out some time to sit down with you personally, live over video chat, to help get you get orientated with Pathfinder. If you are interested, you can see our schedule and book your slot in here. The only requirement to get a call is that you need to have a Shopify or Magento store. That’s it! We’ll start with a brief consultation. In this phase we’ll ask you a few questions about your business and your goals to help you identify which skill to try first. We’ll also answer any initial questions you might have. We’ll create a free Pathfinder account for you and help you hook it up to your store. This typically takes 3–5 minutes. Please ensure you are logged into your Shopify or Magento store as you will need to install the Pathfinder connector (it’s quick and painless, we promise!). Volia - Pathfinder will then design your first campaign and write some emails for you. 🎉 At this stage, we’ll point out a few things you should know, mop up any other questions, and then leave you to have a look around in your own time. We’re also happy to discuss things with you on live chat after the call if you want a bit more help, or set up another call if it’s useful. That’s it. No sales pitch. No pressure. No worries if you don’t like it. Our only goal is help you get set up and then let Pathfinder speak for itself. This is our way of “putting our best foot forward” and giving you a great first impression of Pathfinder. Our hope is that you’ll love it, it will demonstrate real value, and this will be the start of a good business relationship for years to come. With that said, places are being handed out on a “first come, first served” basis and they are filling up quite fast (we already mailed our wait list about it ahead of time). 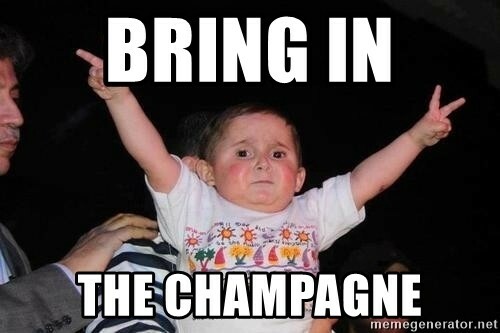 Alternatively, if you prefer to email us first, shoot us a line at hello@pathfindercommerce.com! When can I sign up on my own? Later this month we’ll be putting Pathfinder up on the Shopify app store and Magento marketplace. At this point, you’ll be able to create a free account yourself and explore it at your own pace, without needing to go through it with one of us. We’re building Pathfinder together, and we genuinely want to have the chance to talk to you and get a feel for your initial impressions. This is your chance to talk directly to the people who built Pathfinder, and it is also our chance to talk directly with you. We strive to make Pathfinder better every day, and earnestly want to see your initial reactions and get feedback. These conversations are golden nuggets to us! More than 160 people have registered on our wait list since we launched this blog last month. We’re really grateful for the support and interest that has been shown so far, but the latent demand is making our support team twitchy! That’s why we want to ramp up new accounts smoothly in the first few weeks to ensure we don’t want to fall short of expectations if things go faster than we can manage. Scheduling onboardings gives us some control over this. Self-service software works best when there are guided tutorials to help people get orientated. However, these can be difficult to get right without going through the product with a few fresh pairs of eyes first. These calls will help us pin down our tutorials, so we can create a better first impression for everybody else. I appreciate some of you might still prefer to look around on your own and that’s perfectly fine. There will be an opportunity to do that very soon, so if you prefer to wait a little longer, no problem. You can sign up to wait list here and we’ll alert you when we open up the self-service mechanism. There will be a 4 month expiry date on the credit, so no need to rush into paid plan if that doesn’t make sense for you at first. And again, no problem if you want to stick on the free plan for as long as you want. We’re also going to do our best to make our time together as valuable as possible for you. This means if you have any marketing questions or issues, then absolutely use this as an opportunity to get some expert advise on anything that’s on your mind! I’ll be doing a bunch of calls personally, along with other senior members of the Pathfinder team. If we can help you out with anything, even it’s not directly related to Pathfinder, then we’re really happy to do that. One last thing to mention is that, at the time of writing, Pathfinder only works with Shopify and Magento stores. However, we are planning to support more e-commerce platforms later in the year, so don’t be too disappointed if you use another platform. If you do use another platform, and you want to be notified when we release there, please sign up to this email list. And for those of you lucky enough to be on Shopify or Magento? What are you waiting for? Get a head start and get registered now! P.S. We started this blog to share e-commerce growth hacks and marketing tips, as well as document our progress and share behind-the-scenes experiences as we build Pathfinder.